China: Yulin, The Very High Rabies Risk and The Food Safety Disaster – To Which The Authorities Turn Blind Eyes ! 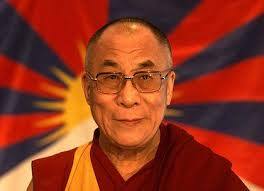 We do not make excuses for the approach of these barbarians – others may but we do not. 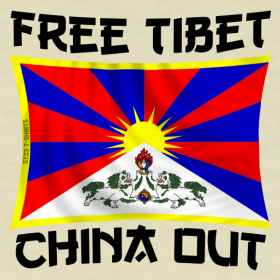 Knowing how the Chinese clamp down on the placid people of Tibet as an example – if the Chinese authorities really wanted to gain any credibility from this planet, then they would have stopped the slaughter. They did not. All we can say is that possibly post event, the Rabies outbreaks in Yulin may be even larger than they are now – and they are in the big league for this anyway ! 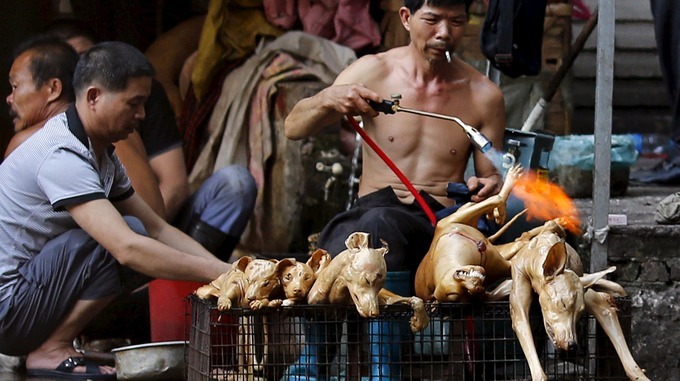 Look at the pictures (one above) of the slaughter – street vendors with little attire on, smoking fags and waving blowtorches around to remove dog hair – a facility like this in London would be shut down before it even opened. Yulin, enjoy your new rabies outbreaks – lets hope you break all records – you deserve it ! The dog meat trade is a serious threat to human health, and Chinese authorities have every reason to stand by the animal advocates. China has the world’s second highest incidence of rabies in humans. And according to China’s ministry for public health, Guangxi province, where Yulin is located, has the largest number of cases in China, while Yulin is one of China’s “top ten cities” for cases of human rabies. Eating dog meat of itself does not cause rabies, but the handling and slaughter of vast numbers of unvaccinated dogs exposes the traders to a high risk of rabies infection. Transporting the dogs to the festival is an intrinsically brutal operation. Dogs for Yulin come from as far as central and north China’s Henan and Shandong, more than 1,000 miles away. They are crammed into wire cages unable to extend their limbs, denied food and water for days during the exhausting trip. The dogs arrive at their destination malnourished and underweight, dehydrated, often dying from injuries or from being poisoned during capture. Others are already dead. This isn’t solely an animal welfare issue; it’s also a food safety disaster. China’s food safety regulations ban the processing, selling and serving of products from diseased or dead animals of unknown causes. And yet the Yulin authorities seemingly ignore these rules, allowing dog meat from unknown sources to be sold to consumers, and in so doing prioritizing the profits of dog meat traders over consumer health. When contacted by CNN, a spokesperson for the local food and drug administration declined to answer any questions. The average Chinese citizen finds public dog slaughter inexcusably offensive. Dogs are openly killed in crowded marketplaces, on the streets, and most shockingly next to elementary schools, imposing bloody and cruel practices on vulnerable members of the public. Such public slaughter risks creating an indifferent and morally defunct society. Beating and killing these struggling, crying dogs in full view of other terrified dogs showcases an industry that is devoid of humanity. Additionally, the criminal activity of dog theft sustains much of the dog meat industry, with often violent confrontations between angry dog owners and the thieves. 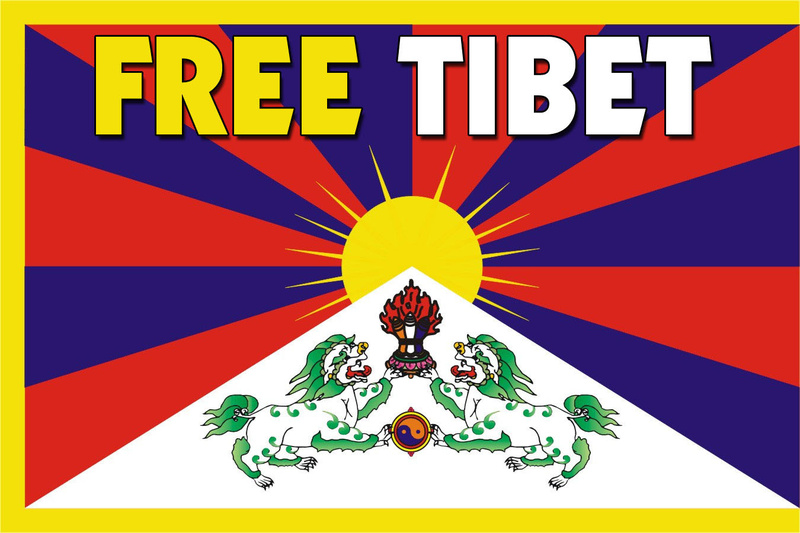 – we are proudly flying the Tibetan flag in full support for the people of Tibet; as the Chinese have banned the Tibetan flag from being flown in ….. yes, Tibet ! !